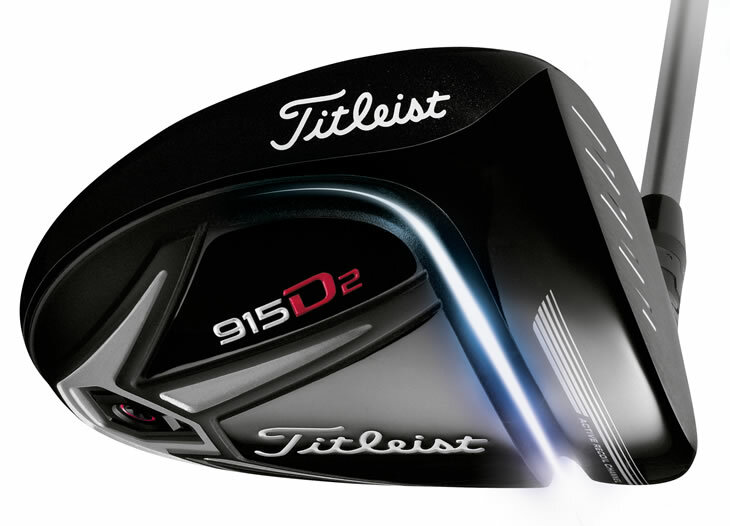 Titleist launched the 915 drivers, fairways and hybrids with a tag line of 'Distance Without Compromise'. To find out how the launch went and what is next for Titleist golf clubs I met with Steve Pelisek, General Manager of the Titleist Golf Club Division at the 2015 PGA Merchandise Show in Orlando. Hi Steve. Following the 915 woods launch, can you tell us about the feedback you’ve had from the market so far? The 915 launch has been the most successful golf club product launch in the history of the company so far. We feel that we are on the second tee having birdied the first hole and feel pretty good, but we have got a long way to go. Partly that feeling comes from the fact that we’re really excited that we have a really good product. Both drivers and both fairway models and the hybrids are really good and they do what we say they are going to do. Now we are excited about making sure as many people as possible, serious golfers, get a chance to try it and see it because we believe they are as good as advertised. The 915 woods came into the market with a distance message, which is really the first time Titleist have come out and said that. How has that gone down? We have always tried to promote the balanced designs that have come out of the R&D department. Serious golfers when you ask them what they are looking for in a driver will say a lot of things and distance is always up there, but so are looks, sound and feel. That all rolls up into the confidence in a driver, but confidence is something that is sometimes difficult to get people excited about. The bottom line is that the 915’s are long, they are really long, and with what we call 'more distance more often'. They are long because of things like keeping the MOI up, because even though they are long with maximum COR from the centre of the face, the trick is how good the performance is off the centre of the face. We knew we wanted to reduce spin, because lower spin for most players is going to translate into more distance, but there is a trade off there and you have to watch your speed and launch angle. The easiest way to take off the spin is to push the centre of gravity forward, but the problem with that is there are trade-off's. If you push the CG forward the MOI goes down and the launch angle goes down. It is fairly easy to understand the impact of the launch angle going down as the ball flies a little bit lower, which usually doesn’t mean more distance. When you talk about the MOI going down a lot of people don’t understand what that means – they think it is all about forgiveness and that it high MOI means straighter shots, being in the fairway instead of in the trees. But what MOI really does in terms of forgiveness is that it means high and consistent ball speeds across the face, so high ball speeds regardless of whether you hit in the centre of the face or not. So with the 915’s we’ve managed, what we like to call the ‘magic of 915’, to get spin down without really pushing the CG forward meaning we have been able to keep the MOI up and the launch angles up so you get the best of both worlds, which means they are long and they are consistently long. Yes, the word I’d use to describe the 915 driver from my review is 'consistent'. I’ve also found that the sound is quite different from the 913, maybe a less traditional Titleist sound. Would that be fair? It’s a little different. It wasn’t by accident and there is actually a lot of research that goes into that sound. So how did you arrive at the new sound? We have a whole group of acoustic guys that know what sounds good, what sounds solid and what sounds hot, and they can dial in the frequencies to provide those sounds. The 915 was a little challenging as the Active Recoil Channel does change the sound a little bit because there is air moving in there, but the acoustic research group dials in the sound to give the audible feedback to the player - which a lot of players equate with feel – and we are confident that it is a good one. What do you see as the next stage in the development for the Titleist Golf Club division because obviously the woods are doing very well and the 714 irons were also received very well. Are you looking to other areas maybe? It’s right out there for anyone to see – we cite it. The 915 was called Distance Without Compromise. We want to continue to develop distance. Even in a world where COR is limited we want to continue to develop distance without sacrificing things like forgiveness, because again forgiveness means consistently high speeds, so get distance in a way that you don’t give up other things, but you are just gaining things. There are years of research there for an R&D group to figure out how to continue to do that. In the iron game we say it too. We say that the 714’s deliver on flight, feel and forgiveness. In iron design there are three types of chassis that players want. There’s the guy who wants a very traditional muscle back, maybe they’ll take a little bit of a cavity back, in their forged iron. There’s the player who will embrace some technology and allow that to enhance their shot making but they still want to look down at the golf club at address and it to look quite traditional. Then there is the player who is all in with the technology who will take something a little bit bigger, with a bigger cavity, and take all the benefits that come from that. Those groupings are fairly set and we’re not trying to change those things but rather we are trying to, within each of those preferences, absolutely maximise the benefits of that chassis. So we have got years of work to do that. I heard a great quote the other day from the chairman of one of the animated movie makers who said “we never finish a film, we just release them because if I waited for the artists to finish I’m not sure we would ever release anything”. I don’t think we are quite to that extreme but we have a research division that is constantly pushing and pushing and pushing and then the development guys deciding how much of the new technology and advancements we can effectively build into each model. We've told the story with the 915 that the Active Recoil Channel was actually nearly put out in the 913 model, but it just didn't feel like we understood it enough at that point so we made the decision to wait and continue to refine and improve it and I think that was the right decision because we now know more about how it affects both speed and spin. You've talked about the distance story in woods. Do you think we will see a distance story in Titleist irons going forward or will it continue to be focussed on performance? 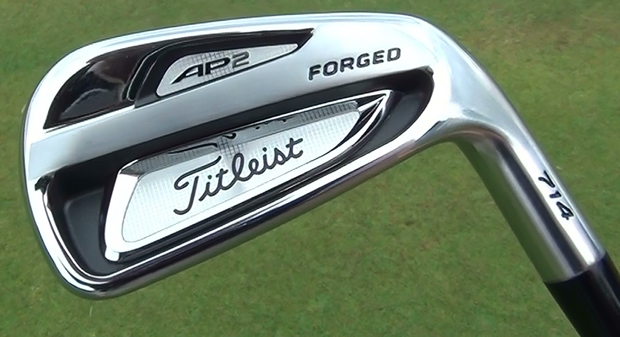 With the irons it is really more about total performance. We think the iron game in golf is about precision. Unless you are chopping the ball out from under a bush every iron shot, you hit is to a precise target. So the most important thing when you are hitting an iron is proximity to the hole which is more about distance control, consistency and accuracy than it is about pure distance. Clearly some of the marketing today advertising distance in some irons has just been as the result of making the iron have a stronger loft, with some of the 6-irons now basically conforming to what normally would be a 4-iron loft five years ago. We are not interested in that as we don’t see that it adds any value. We are more interested in developing a set of irons that give a better ball flight and improved carry distance. With carry distance you hear people talking about carrying, say, their 5 iron 180 yards which is fine as long as it stops where it lands, but if it doesn't stop within 10 or 15 feet of where it lands it is not really a playable golf club to us. So we are trying to develop equipment that does increase carry distance, but with a trajectory that will be something you want to hit into a green and that you can consistently repeat, and if you happen to mis-hit it, because everybody does mis-hit it sometimes, you still get a very close and consistent result. That is more our focus, again we talk about flight, feel and forgiveness. Getting a consistently high, long carry in the ball flight, with feel that is important and with forgiveness that turns into consistency.